Mansour, DDS provides many dental services covered by your insurance in Rochester Hills, Michigan for William Beaumont Health System in Michigan through Delta Dental. We specialize in personal attention, a gentle approach in dentistry and continuous care. We take great pride in making sure that all of your dental care and services are focused on YOU and your individual needs through each stage of your life. Exams are covered twice a year and are usually part of your regular 6 month checkup and cleaning, if you need an emergency exam it may take away from this benefit depending on the situation. 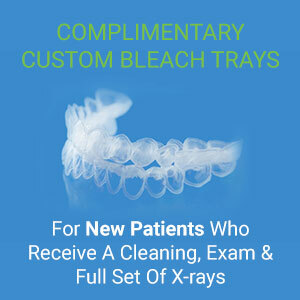 Checkup x-rays (aka Bitewings) are covered once a year, and full set/Panorex x-rays are covered every 5yrs. Your Delta Dental policy covers 2 regular dental cleanings each year. For those that require periodontal maintenance cleanings your plan does not cover more than 2 per year. Most insurance policies use a downgraded fee for tooth colored fillings, which means the patient would be responsible for the difference, which could cost the patient almost twice as much. Most plans with William Beaumont Hospital do not downgrade tooth colored fillings, the plan pays them like any other basic restorative service. Depending on what plan you have chosen with Beaumont Hospital a crown could be covered up to 70%. Veneers are considered a cosmetic procedure and not a covered benefit at this time. Lasers used during periodontal deep cleanings have shown great success in slowing or stopping periodontal advancements in your mouth. Your Delta Dental policy does not provide benefits for this service at this time. Traditional Braces and Invisalign are typically not a covered benefit under the hospital’s plan unless you opt into an additional add-on benefit. Our office offers various teeth whitening systems like whitening strips, customs tray systems, and chair side whitening sessions such as GLO & ZOOM. Unfortunate your policy deems this as a cosmetic procedure and not a necessity so it not covered under your plan. If you have any additional questions regarding your policy and what it covers you can call our clinic at (248) 852-3130 and Dannette or Rebekah, would be happy to answer them for you! *Insurance coverage may vary depending on site and position. Please call us at (248) 852-3130 to verify.